See who you voted for as the overall Player of the Season in the 2015-16 Sports Mole Reader Awards. From Leicester City's incredible rise to the top of English football to Barcelona's record 39-match unbeaten streak, it has been a memorable season across Europe. The Madrid clubs will once again contest the Champions League final, while Bayern Munich, Juventus and Paris Saint-Germain continued their dominance of their respective domestic leagues, but who did you choose as the best player on the continent? Hit play below to find out the results from the 2015-16 Sports Mole Reader Awards! Munir El Haddadi agrees new Barca deal? N'Golo Kante decides on Arsenal switch? Dybala rejects Real Madrid interest?Isco "very happy" to make Spain squadVarane admits Real Madrid frustrationArsenal to spend £51m on Morata?De Gea's release clause expires on June 15? Luis Suarez doubt for Copa America? Arsenal to make Medhi Benatia bid? Report: Ancelotti to sell Mario GotzeBayern complete signing of Mats HummelsBayern Munich sign Renato SanchesGuardiola: 'Bayern mole not my problem'Olic: Guardiola "won't be remembered"
Chelsea latest side to show interest in signing Alvaro Morata? Zlatan Ibrahimovic: "I'm still warming up"
Giggs open to working with Mourinho? Man City to sign Gundogan this week? 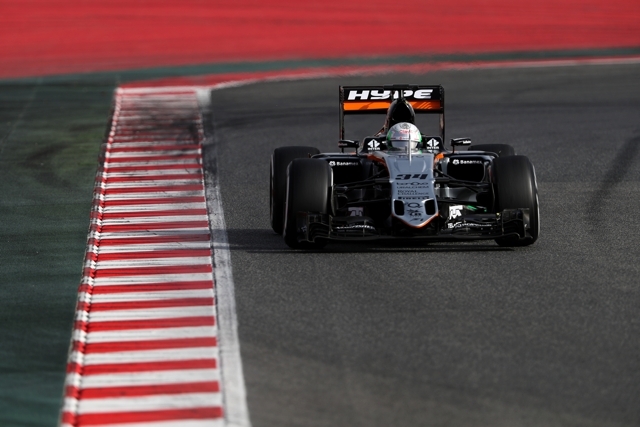 Hales: "I've tweaked a couple of things"
Force India to halt 2016 car development?